Ibarra was on the Twins' 40-man roster during the 2014 season, playing in Double-A and Triple-A last season. 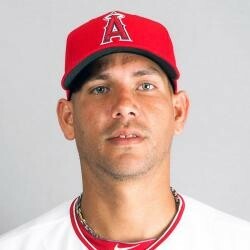 Although this signing is relatively minor, Ibarra could provide bullpen depth for the Angels. If Ibarra can manage to secure a spot on the roster, there he might be able to display the skills that led to the 10.1 K/9 he flashed in AA and provide some quality holds for a team that has some significant winning potential. Ibarra posted a 4.22 ERA and a 2.07 K/BB ratio over 64 innings of relief last season, so there is still room to develop for Ibarra, but there is little pressure on the minor league free agent signing.